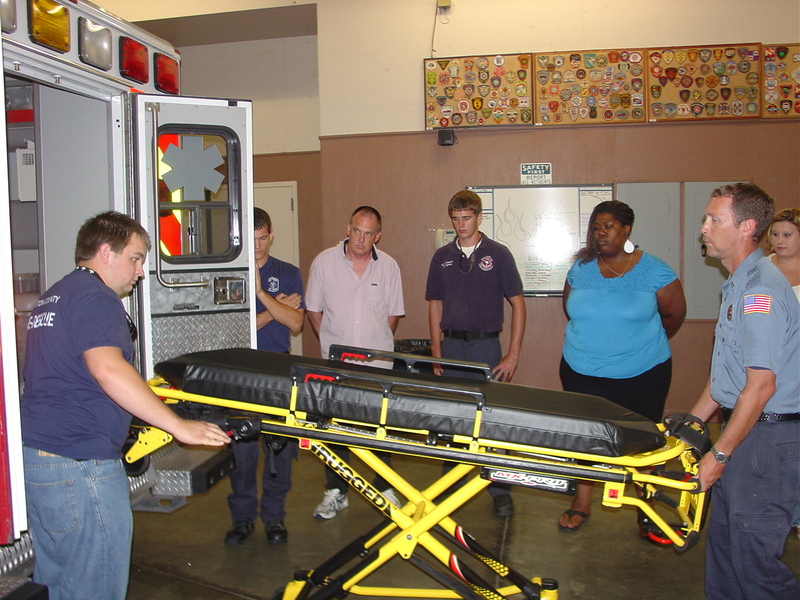 The Fall EMT-Basic class co-sponsored by CCFR and the Technical College of the Lowcountry began on J uly 15th. After learning foundational material, students have now started to participate in “hands-on” skills. Click here for more information. 7/31/2008 - An arrest has been made from the fire on 7/25/2008 at 311 Hickory Street. A 16 year old male has been arrested and charged with Arson 3rd degree. He has since been transported to the Juvenile Detention Center in Columbia. 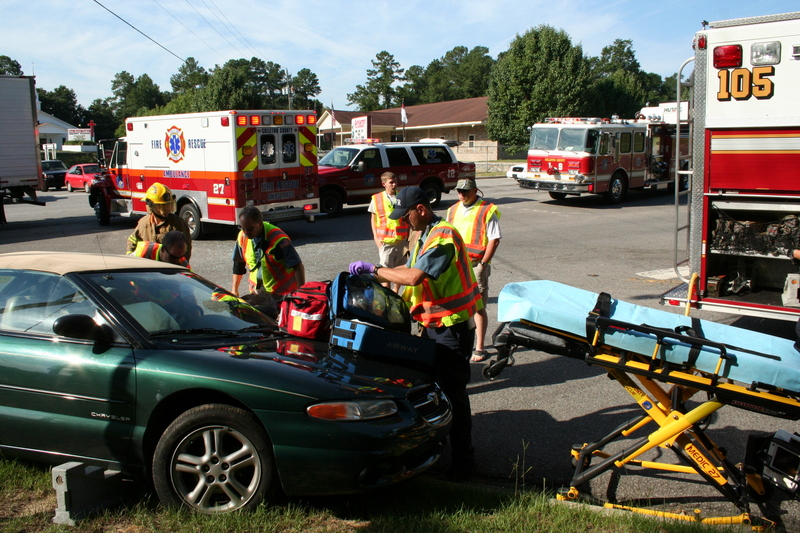 Stations 9 and 11 responded to a fatal MVC in the 26000 block of Augusta Hwy Wednesday 30-July. The call was received at 15:19 reporting an over-turned vehicle in the woods. 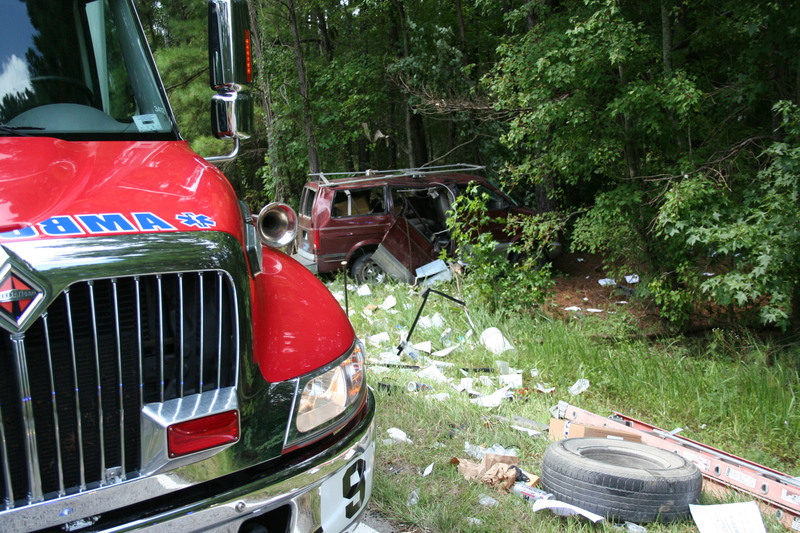 Fire units arrived about 10 minutes later to find a Chevrolet mini-van upright in the woods. Click here for more information. Station 9 responded to a man injured in a fall in the 200 block of Ohio Lane north of Cottageville. The incident occurred around 15:40 when the man fell approximately 35 feet from a tree. He was unconscious on arrival of Medic 9. Click here for more information. Stations 24, 1, 12 and 19 responded to a singlewide mobile home fire at 311 Hickory Street Friday 25-July at 2:25. On arrival Tanker 27 advised heavy smoke conditions with fire visible from the "C" side of the structure. 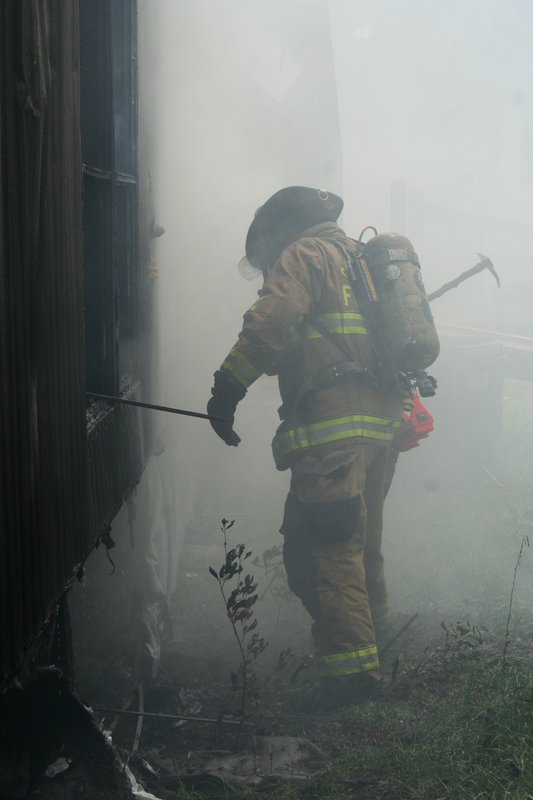 Firefighters used one 1-3/4 handline to quickly extinguish the fire. A booster line was used during overhaul. 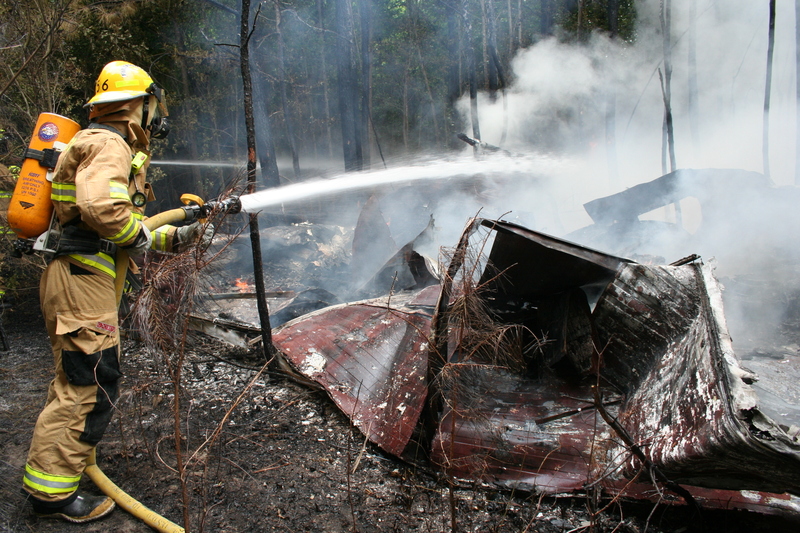 The fire was burning under the mobile home, which extended to the flooring and also against a back wall. The mobile home was vacant and in the process of being renovated. The interior suffered heavy damage. No injuries were reported. State Law Enforcement Arson Division Agents were requested to assist Fire-Rescue and Sheriff's Department investigators in processing the scene. Click here for more information. 7/25/2008- A Walterboro man faces life in prison without parole after a jury convicted him Tuesday in 14th Judicial Circuit Court of committing second-degree arson in 2007. Click here for more information. Stations 6, 2, 22 and 25 responded to a dwelling fire at 329 Gobbler Circle near Green Pond, Thursday afternoon 24-July at 17:54. Engine 6 arrived to report a doublewide mobile home with heavy fire showing from the “B” side of the structure. All occupants were out of the building. Downed power lines were blocking the driveway and access to the “B” side of the structure. Click here for more information. 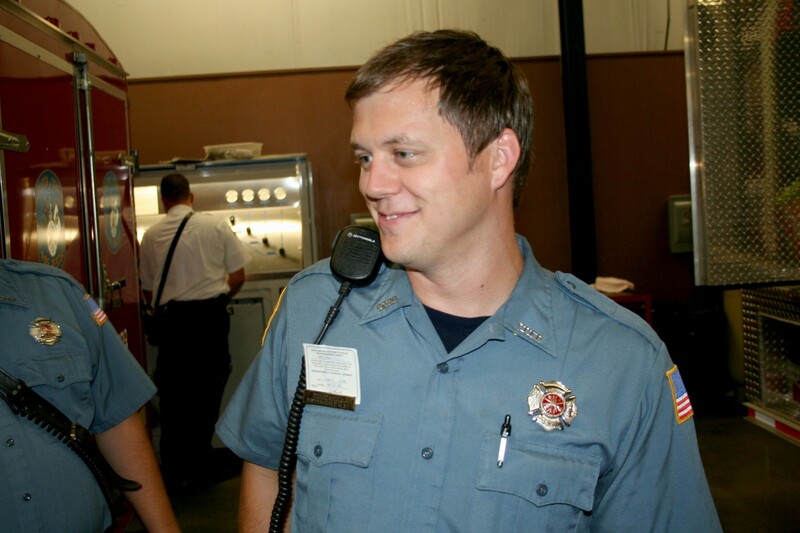 7/22/2008- Congratulations to Firefighter Bryan Eadon for passing his NREMT-Basic examination. 7/22/2008- Congratulations to Firefighter/EMT Mikey Banks and Firefighter/EMT Robby Sherry for passing their Engineer Promotional Examinations. 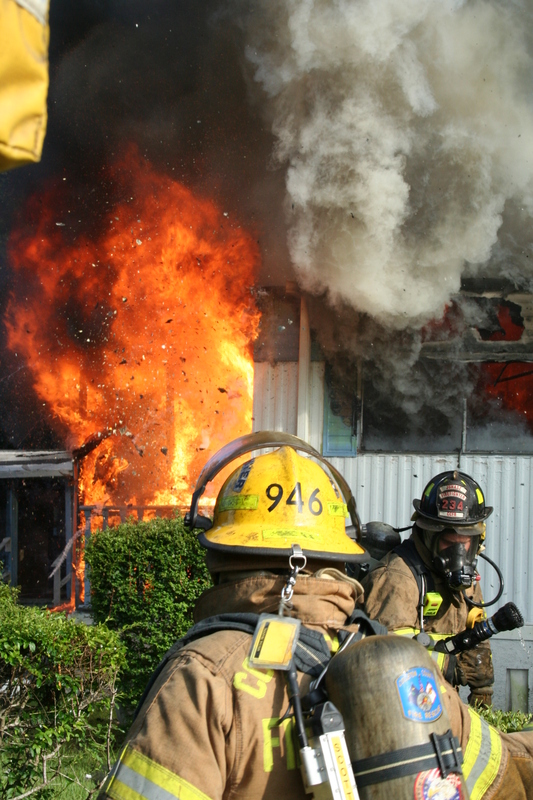 Colleton County Fire-Rescue requires that over 400 hours of training and several IFSAC certifications be obtained prior to attempting the Engineer Promotional Examination. 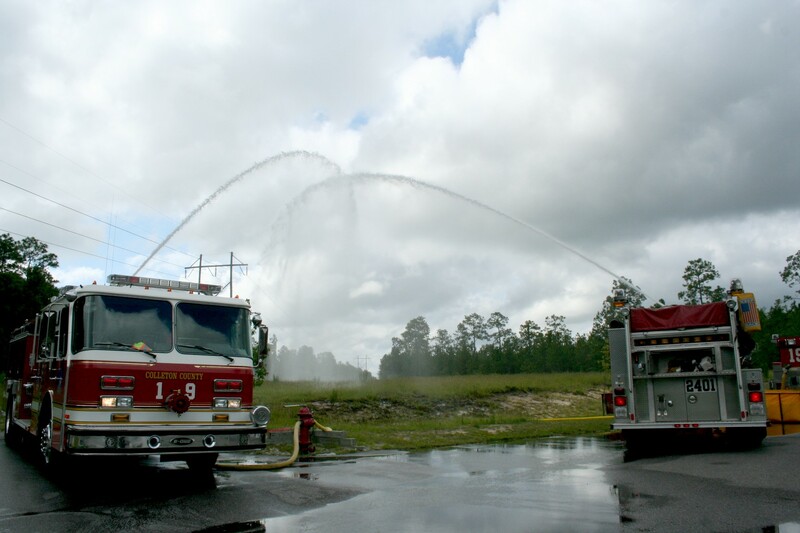 The exam is a written test requiring knowledge of roads, advanced hydraulics, foam calculations, auto extrication, hazardous materials, and scenario based questions as well as a practical evaluation of pumping from a pressurized hydrant, drafting from a dry hydrant and drop tank, driving, calculating and applying foam, and operating a ladder truck. In conjunction with “A” Shift Battalion Chief Rich Ellis, the training division conducted a “mega-code” drill. The simulated patient was an elderly man with sudden onset respiratory distress. Upon arrival, FF/P Goins and Eng/EMT Hoff found the patient laying supine breathing 8 times per minute. Click here for more information. 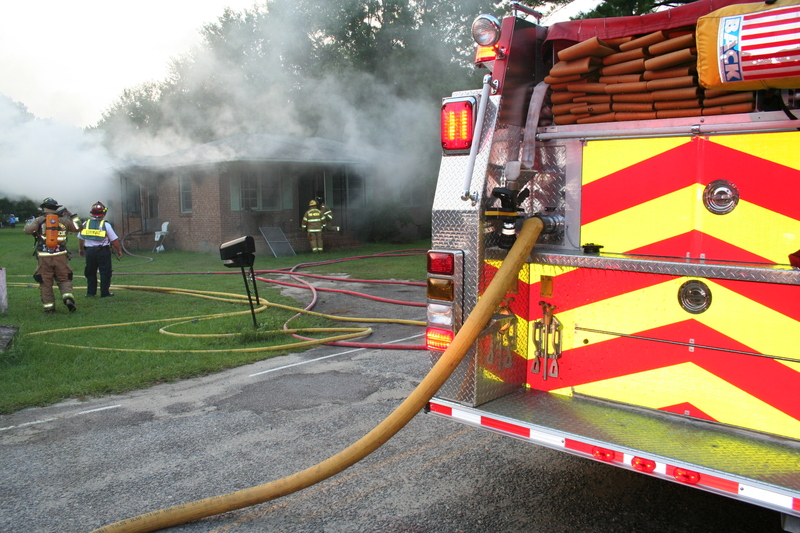 Fire-Rescue units responded to a house fire Thursday, 17-July at 135 Franklin Street. The call was received at 19:51, reporting flames coming out of the house at this address. The first fire units arrived about 6 minutes later to find heavy smoke conditions with fire coming out of several windows and doors. Firefighters used two 1-3/4 hand lines to bring the fire under control. Click here for more information. 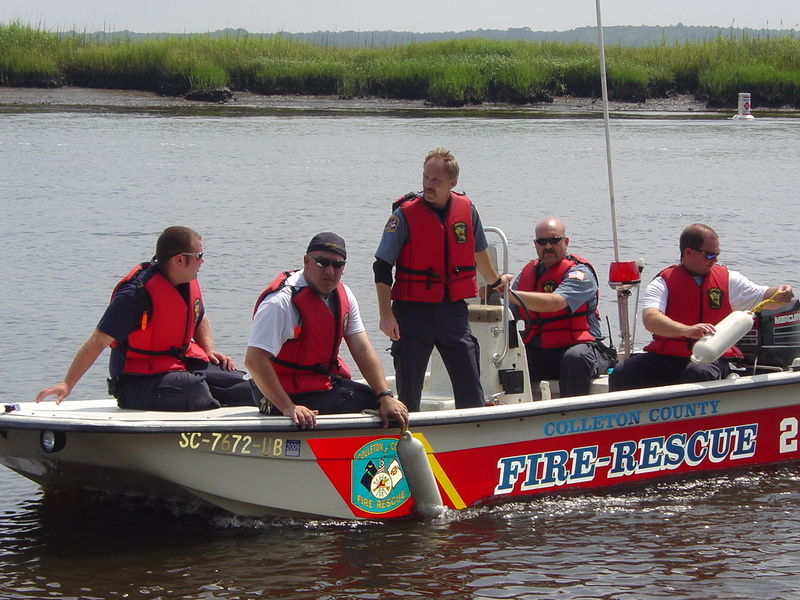 The Tactical Response Team drilled on the mornings of 7/12 & 7/13/2008 to train on water rescue. Firefighters used the "steel bridge" landing on the Combahee River at the Beaufort County Line. Divers found the near pitch black water and strong current to be very challenging. Click here for more information. Station 7 responded to an over turned vehicle on Beulah Road Saturday 12-July at 2:15. 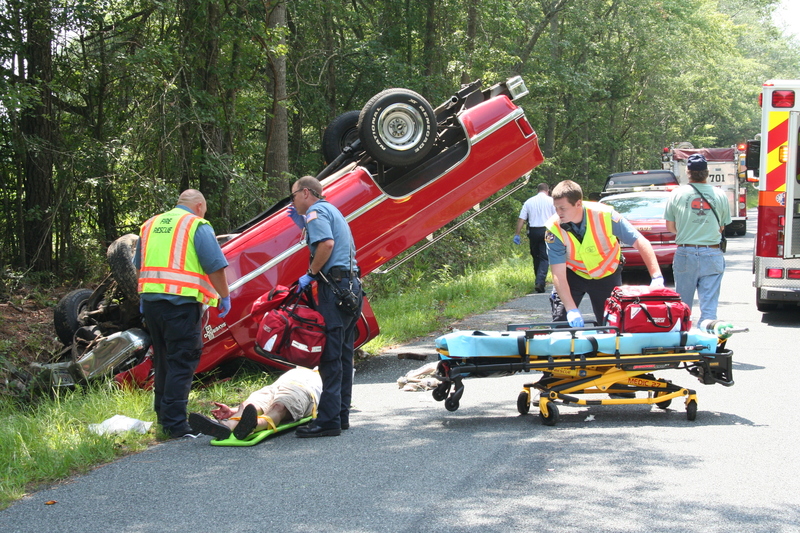 The single vehicle accident involved an older model Chevrolet pickup truck that entered the ditch and flipped over. 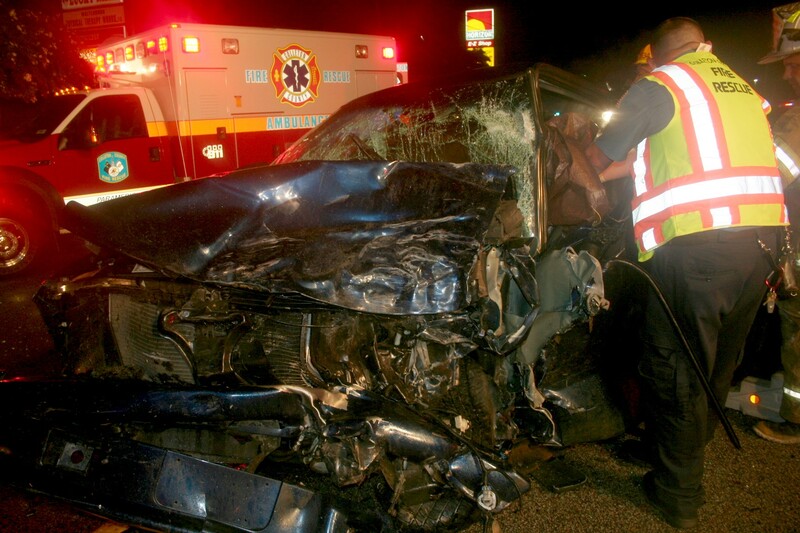 Both occupants received multiple trauma injuries. A female patient had significant head injuries and was flown from the scene to MUSC in Charleston by Lifenet. Click here for more information. Stations 1, 19 and 27 were dispatched to a head-on MVC in the 700 block of Bells Hwy. in front of Captain D's Thursday night 10-July-08 at 21:45. Medic 9 responded from the ED and reported two vehicles in the roadway, both with heavy damage. Click here for more information. Stations 6, 12, 24, 22 responded to a structure fire in the 100 block of St. Johns Road 10-July at 16:05. The fire, which is suspected to have been intentionally set, was reported by several children. On arrival, Engine 24 found a 40 year old singlewide mobile home completely on the ground with several hundred tires ablaze in the surrounding woods. Click here for more information. Two new full-time employees completed orientation on 7/9/08. They are Firefighter/Paramedic Jimmy Guenther (left) and Firefighter Anthony Keen (right). FF/P Guenther will be assigned to A-shift at Station 9, while Firefighter Keen will be assigned to D-shift at the Station 6 rotation. 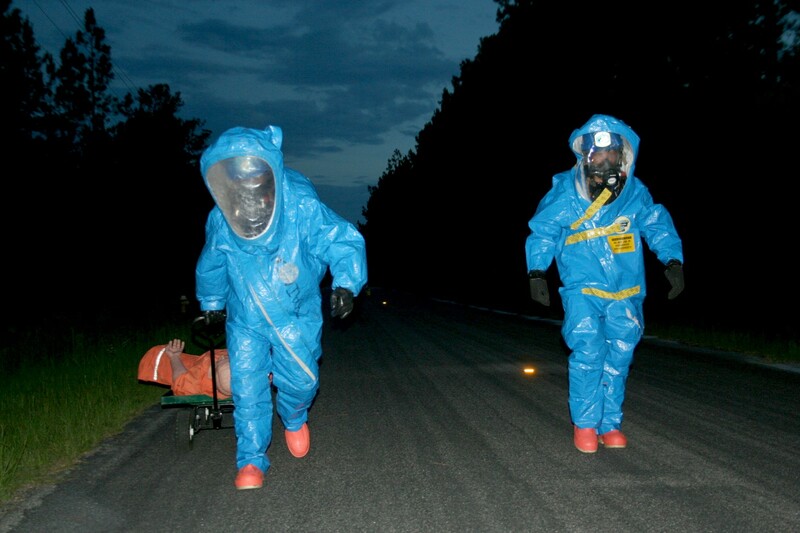 Engine 19, Medic 19, Medic 27, and Haz Mat 19 responded to the 500 block of Anderson Road for a Hazardous Materials Drill. Firefighters were faced with a simulated leaking tractor-trailer transporting an unknown material. Firefighter/EMT-Intermediate Scottie O'Quinn served as the Incident Commander and ordered a Haz Mat Blitz Entry. Click here for more information. Firefighter/EMT-Basic David Goins received his State of S.C. EMT-Paramedic card and was promoted to Firefighter/Paramedic. He is pictured here with his paramedic card attached to the top of his name tag that currently reads "Firefighter/EMT-Basic". Goins is currently stationed at Medic 27 on C-shift. Stations 2 and 6 responded to a head-on MVC in the 13000 block of ACE Basin Parkway (US Hwy 17) Saturday 5-July at 12:20. The two car MVC injured four people, one severely. 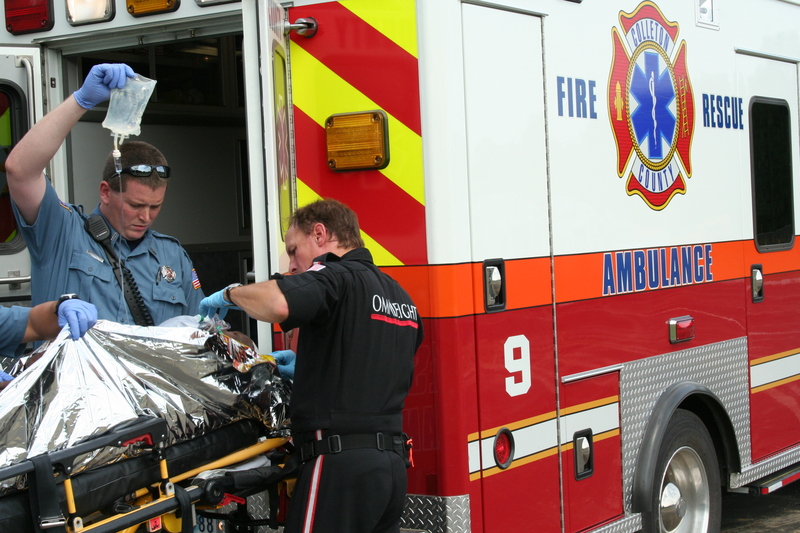 An elderly man suffered acute abdominal injuries. Firefighters treated him at the scene, which included bilateral IV lines and packaged him for transport. Click here for more information. 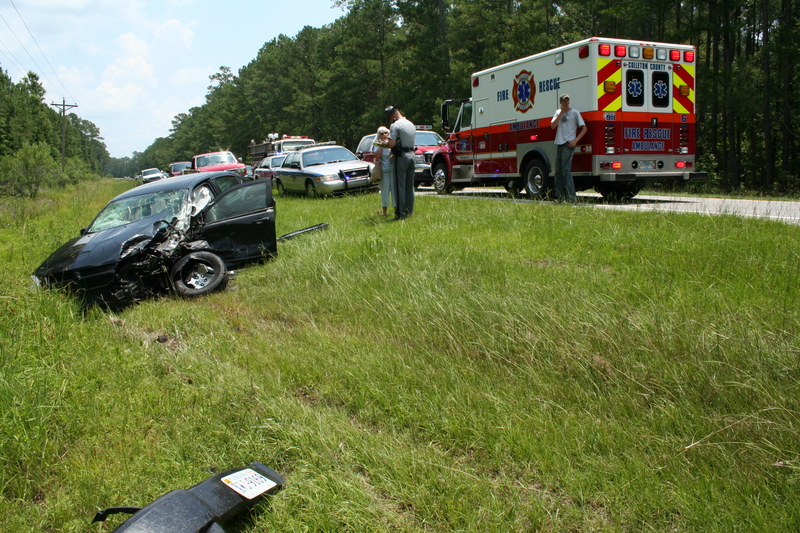 Rescue 1, Engine 19, Medic 27 and Walterboro Public Safety Units responded to a tractor Trailer vs car MVC at the intersection of Sniders Hwy (SC Hwy. 63) and Beach Road at 08:50, 1-July. A elderly Florida man pulled into the path of north bound tractor trailer and struck in the side behind the driver's door. Click here for more information.